I remember it well. A new, exciting ministry position was up for grabs. Quietly in my mind, I congratulated myself as being the most faithful candidate. Since I “put in my time,” it was a sure thing, so I thought. However, my inflated view of self and self-flattery only set me up for greater disappointment when another person (who I thought was less qualified) was chosen for the position. I couldn’t believe it. I was humiliated, not because it was humiliating so much as I had created my own humiliation by wallowing in my shattered ego. For a few weeks after, I continued licking my wounds as I felt sorry for myself. I created my own misery. And in a narcissistic way, I liked it; it was a nurturing form of self-therapy. Self-pity: a self-absorbed, feeling sorry for oneself fueled by a high view of self, a low view of God, and an attitude of entitlement. As I’ve struggled with the sin of self-pity, God has been kind to expose some of its dangers. Self-pity is a real temptation for all of us. Two big ingredients blend together, which present self-pity as a tasty option: external struggle and internal struggle. Battles outside of us really do leave their scars on us. Life is hard. People get wounded. Sometimes, in unbearable ways. Additionally, we have a fallen nature which causes an internal battle leading to wrongly-handled hurt and struggle. Whether a large and legitimate hurt, or a small or imagined one, our sin looks to use it for the glory of self. This makes self-pity a constant temptation, and a deep frustration for God’s people as they seek to live for his glory. Self-pity comes from an internal pride, not external circumstances. This is not to overlook real, external struggles in any way. But self-pity looks at those struggles and then responds: it is a response to struggle (real or imagined) fueled by the pride of a high view of self. Our circumstances do not force it; they merely present the opportunity. And, if we’re not careful, pride will take the opportunity every time. For that reason, self-pity is not a morally neutral act. I’ll never forget the first day I heard it. I was sitting in my first pastoral counseling class, when Dr. Stuart Scott said something along the lines of, “Men, self-pity is sinful pride.” An overdue shift occurred in my soul that day. What I always thought was an innocent feeling sorry for oneself had been exposed for what it really is. In self-pity, pride preaches, “This should not be happening to you. You are so much greater than all of this. 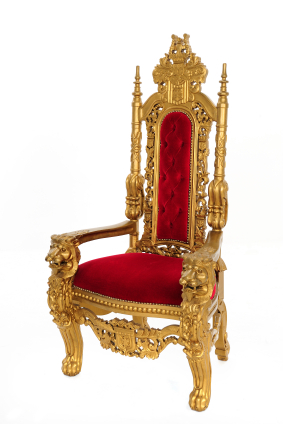 You are entitled to enthronement. God is a poor Lord.” And so, we feel sorry for ourselves and the spiral begins. Of self-pity, Stuart Scott writes, “Some proud people may not come across proud at all, because they are always down on themselves. This is still evidence of pride because one is focused on self and wants self to be elevated. Having a ‘woe is me’ attitude is self-pity, which is pride.” So then, boisterous bragging and quiet self-pity are two sides of the same coin. They both are born from the same mother of pride. Self-pity can come from a worship of our feelings. 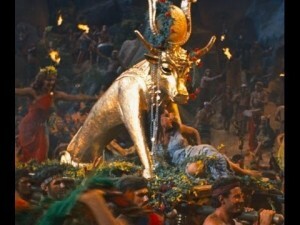 Feelings are the golden calf of our day. We worship our feelings and hold them higher than anything, especially truth. This is evident, for example, in that our feelings become the determiner of what is good and bad; the judge of what is right and wrong. If my feelings are hurt, then something must be wrong. If you hurt my feelings, then you are a villain. Never mind that I probably needed wounding (Prov. 27:5-6 ). And never mind looking at what idols and sinful cravings might be fueling my hurt feelings (Jas. 4:1-2 ). Self-pity is fueled by an “I deserve” mentality. Often in self-pity, I will continue feeling sorry for myself because I am wanting something that I am not getting or I am getting something that I am not wanting. Perhaps I want, and feel that I deserve, some recognition, attention, or promotion. If do not get it in the way and amount I feel that I deserve, I resort to self-pity. Perhaps, on a more difficult scale, I really do not want (nor think I deserve) some struggle or hard circumstance in my life. If I do not flee the “I deserve” mentality, then self-pity takes root. What happens, then, is “I deserve” mutates into expectations and demands, leading to a deepening self-consumed pouting. And in a weird and painful way, it can feel really good. But we must humbly recall that we only deserve the wrath of God for our sin. If we have sinned, then all that we are due is condemnation and wrath (Ezek. 18:4 , Rom. 6:23 ). If God really gave us what we deserved, then we would be enduring his just anger for eternity in hell. Self-pity is a deep ingratitude. Because it is fueled by a high view of self, self-pity will be accompanied by a lack of thankfulness. It is focused on wanting something else and willfully blind to the goodness of God in my life. In that sense, self-pity is greedy: it is discontent with present circumstances, feeling like it deserves more, and refuses to be thankful. Self-pity has a low view of God. When self is big, God is small. And self-pity is one of those times when our view of ourselves is inflated like a blowfish. We are absorbed in the world of our cravings, our entitlements, and our feelings. God is nowhere in the picture. Actually, God is in the picture, but only as the recipient of our complaining. I have booted God off of his throne and placed my wants, my feelings, and myself on the throne. Self-pity is, then, fundamentally a breaking of the greatest commandment. Self-pity often inflates its struggles and deflates those of others. Similarly, the heart will lament how no one really understands. And in some sense, that may be true: there may be no individuals in my midst who thoroughly understand what I’m enduring. However, self-pity clings to that thought in a self-absorbed, self-exalting way. It takes dark joy in no one understanding, whether or not that is true. Self-pity will rally a fan-club from undiscerning sympathizers. Self-pity can be a strategic tactic for seeking sympathizers. Well-meaning, but undiscerning, friends will run to comfort me in my “woe-is-me” attitude. On the surface they see a proverbial wounded puppy. Like liberating the innocent dog from the pound, they come to the rescue. But little do they realize, self-pity craves the fan-club for its own glory, and, in the meantime, uses the sympathy as a nurse to heal the wounded pride back to health. Self-pity, in turn, will manipulate the sympathizers. For example, it will say, “You really are a true friend,” or, “No one else has shown love like you have,” or, “No one really understands what I’m going through, except you. You really have a gift.” Flattery, then, can be a common tactic of self-pity to recruit that growing sympathy fan-club (and as a sidenote, it’s easy to see how self-pity is often at the root of church splits and divisions). Self-pity makes some of its best friends through manipulation and flattery. It may not think it is manipulating or flattering, because self-pity really does feel loved by it all (and the sympathizer may not feel manipulated because they are rewarded by self-pity’s praise). But make no mistake: the compliments and accolades are fueled by the monster of pride; it’s nothing more than a sinister self-love. And before they know it, self-pity’s undiscerning sympathizers have been converted into advocates for its self-centered cause. It’s sinfully brilliant. Church leaders, too, need to be aware of this. Self-pity will look for a church where it will not be shepherded, but coddled. It looks less for truth, and more for feelings-coddling in the name of God and his word. Undiscerning leadership can mistake the hurt feelings for the whole story, when it’s merely a fraction, and a surface problem. Thinking they are shepherding the individual, they will do them harm by pandering them so as to give them a bigger view of themselves than God and the work of Christ. Meanwhile, the roots of self-pity keep growing beneath the surface, further damaging the individual. Self-pity is a hazardous demeanor for decision-making. Our motivation during self-pity is the glory and exaltation of self. 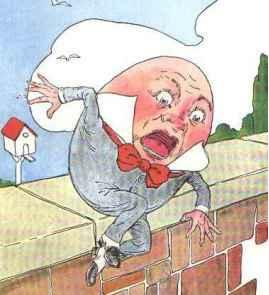 We’re like Humpty Dumpty: our fragile ego has fallen off the wall, shattered on the hard ground of reality, and we’re looking for an idolatrous balm to put it back together again. The goal is to restore the enthronement of self with just about whatever means possible. For that reason, making decisions, especially big ones, is hazardous during these times. We will reap what we sow. If we sow to soothe our idolatrous feelings, we will be sure to reap greater seasons of self-pity and bitterness in the future. If we keep feeding our narcissism, it will only bloom into a more miserable monster. We will flee the hard situations which are in reality gifts from God to strengthen us in a difficult world. We may flee relationships and people who are there to help and care for us God’s way. We might make foolish financial decisions in our self-absorption. We can make a myriad of other foolish decisions thinking that a change of scenery, job, place, and people will be the solution to our problems. And if we do get what makes us feel better in times of self-pity (whether through our decision-making or not), we should not interpret that as God’s blessing on us. Quite the opposite, perhaps. Our self-absorbed jockeying has merely managed to manipulate further idolatry. 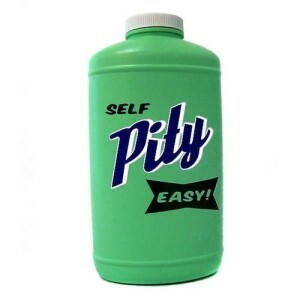 Self-pity is typically a gateway into other sin. Self-pity is usually the entrance point into self-justifying, subjective affirmation of what one wants. It’s used as the permission slip into other sins. The high view of self fuels a reward mentality which will look for all sorts of fleshly trophies to present itself for enduring hardship. In doing so, moments of self-pity can become gateways to further sin. Christ is our hope in self-pity. As a man of sorrows, acquainted with grief, and tempted in all ways like us, Christ faced the great temptation of self-pity. And if anyone, we might understand if he succumbed to self-pity. No one has faced greater injustice than Jesus Christ. Never was there anyone so deserving of glory, yet received such an onslaught of sin. In return for creating, sustaining, and loving us, humanity gave, and continues to give, him sin. And yet, despite our enmity, he never resorted to self-pity. Instead, he trusted his Father (1 Pet. 2:23 ), looked ahead to the good his sufferings would accomplish (Rom. 8:28 , Heb. 12:2 ), focused on serving others (Mark 10:45 ), and sought to please God in it all (Matt. 26:42 , John 8:29 ). And because he never sinned, Christ offered himself on the cross as the only sufficient sacrifice by whom the wrath of God due our sin could be extinguished. The propitiatory work of Jesus Christ in our place on the cross is sufficient to remove our condemnation, including that for our self-pity. He is our hope. We can ask his forgiveness for the pride of self-pity and receive it freely. Then, by his transforming grace, we can turn from self-pity. Instead of wallowing in self-sympathy, we can rest in Christ’s sympathy who was tempted in all ways like us yet never sinned (Heb. 4:15-16 ). We can rest in the fact that the love and grace which God has shown us in Christ is far greater than the hurt and indifference we’ve received from others. We can trust that things tempting us to self-pity are sovereignly used for good to make us more like Christ. By his grace, we can turn the self-consumption of self-pity into serving others; the focus on hurt feelings to a focus on the goodness of God towards us; the manipulating of sympathizers into seeking to love and encourage others; the focus on entitlement to thankfulness for the Person and work of Christ. by Eric Davis JUNE 17, 2015 on the Cripplegate blog. Photo credit: media.philly.com, cdn.smosh.com, i.ytimg.com, liesyoungwomenbelieve.com, dokuwiki.noctrl.edu. This entry was posted in Christian Living, Cripplegate and tagged Cripplegate, Eric Davis, Self-pity. Bookmark the permalink.